Anyone that has stayed at a Tennis Resort that they would recommend (good or bad) please call Walt Lehrer or email Jim (webmaster) and give a short review of the resort and a web site address with pictures if possible. I stayed at the Homestead Resort in Glen Arbor, Michigan and would go back, both for the tennis and North Woods feeling of the resort. Dave Nostrant is an excellent Tennis Professional and the Staff seem more than willing to help improve your tennis game. 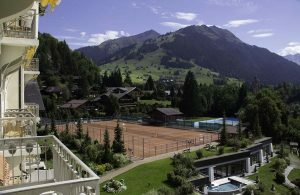 There are 5 Clay Courts and the resort would be a great place to have a long week-end with your wife. It any team would like to go there as a team, please contact Dave Nostrant for possible specials at The Homestead.